So, after several days of brainstorming you have finally got the fundraising idea for your mobile application. Really, it’s a million dollar question as what idea would strike a chord with your target audience, and what not. Without fund you can’t further the causes your non profit organization stands for; nor can you think of moving an inch towards your goal. Though your nonprofit application development project is still on paper, awaiting to be coded to the perfection by the best mobile app development company that you have hired or about to hire, we appreciate the leadership roles you played in crafting out the idea. Ian Altman, in one of his columns with Forbes, claims that over half of the nonprofits are set up to fail only. The primary reason he analyzed is lack of prudential planning and, needless to say, mobile app development should be an integral component of it in the wake of the growing mobile app time spent. Here are some cool suggestions to attract, engage and retain donors with your fundraising mobile app. On the very first visit to your app, the potential donors should be in the know that what is the app all about. Let your app convey the case for funding statement -- as how you would invest their hard-earned money and what changes they can see with their effort -- clearly and concisely. Needless to say, the look and feel or the app design should instill the very sense of trust in the users because this is what that takes you closer to them. Richard L. P. Solosky, a strategy architect for nonprofits, considers this communication vital in optimizing the impact of any nonprofit campaign. So, if you are hiring some mobile app development company for the job, do share the case for funding statement with their team. This would serve as a guide for them to go the right way. We’re social. Ever thought what makes it unique? Obviously, it’s none other than engagement. You can’t expect users to just come to your app for donation. Unless you make them stay, dig more about your causes, visions and missions, expecting donation would be a day dream. You have to make them buy your causes from the bottom of their heart. Nowadays, thankfully, the world of mobile technology is flooded with a plethora of engagement tools. So, making your fund raising software answer to the donor’s query wouldn’t be a tough deal. From chatbot to voice assistant to messaging, you have more options than ever. Use either of them, or a combination that serves the purpose best. The payment processing has to be simpler, securer and faster, and the mode of payment as flexible as possible. This saves time and efforts for donors, and let you achieve your fundraising goals faster. Allow donations through multiple popular channels including merchant account, Credit Card, Debit Card, PayPal, or so on to help donors make the payment without any hassles. For merchant account, it’s best that you contact your bank. Your app must complement other online communication channels, including website, donation page, social media platforms and email newsletter. Their performance is equally important to the success of your fundraising app. Remember new donors would take any step very considerably after verifying your authenticity over other channels. It’s imperative that you give a link of the app or the distribution channels on your website. Don’t be a spectator once you have got the mobile app designers, developers and software testers busy with your project, rather become a part of the app design and development process. Sounds difficult? Look for a company that takes Agile mobile development methodology in letter and spirit and emphasizes on collaboration for incremental enhancements to take place. The process gives you a 360-degree view of the progress made by the team. You can have a working build after every sprint that you can simulate to know how the features and functionalities are working. Share your feedback and opinion with the team via the collaboration tools made available. How often do you go for a movie? How many times did you go without bothering to read its reviews? We are social, and we are most influenced by the feedback or experience of our peers and family. The chances are that people like your app and share it with others, provided they have got some good reasons. This human behavior is definitely a brownie point for you? Wondering how to make it serve good to your nonprofit? Google provided an answer for it with Firebase Dynamic Links. This allows users to share an app they love with others over Android, iOS or other platforms with just a link. 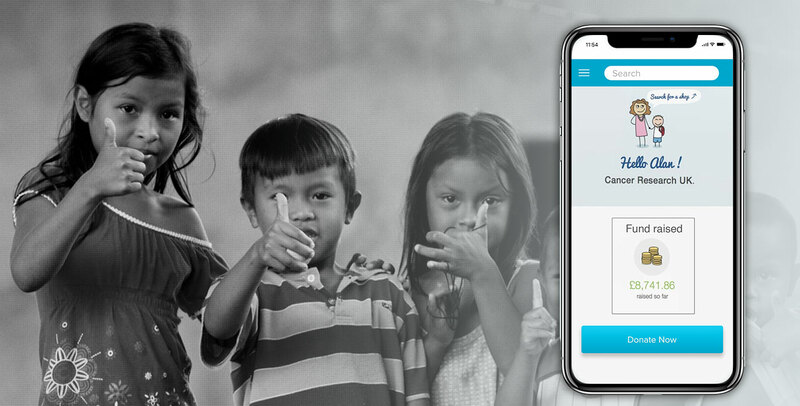 Nonprofit fundraising is a non-commercial activity, so here a greater degree of sophistication is required in terms of mobile app development for NGOs. The communication and user experience should be soaked with emotion. Though there are a good deal of mobile app development resources available, you need to have an abled team that understands your campaign objectives, missions and visions. The professionalism should be higher on the agenda as you are going to target a generation dominated by millennials who have high expectation. How important is that? Well, we’ll come to the point in the next blog. Thanks for being with us. You can share your feedback on Twitter or Facebook. Until then goodbye!